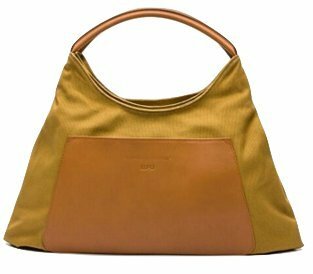 Established in 1920 in Barcelona, LUPO is an innovative brand focused in high quality leather with great design. Seeking excellence through attention to detail and a refined finish. LUPO creates products with character, manufactured with sensibility and honesty and a certain touch of timelessness which usually find their companion in an urban, cosmopolitan woman, with personality and style of her own, and who enjoys life and the objects around her. LUPO bag owners do not seek ostentation via identification with a flamboyant brand or the latest celebrity fashion. LUPO is a brand that requires discovery, that is discussed and enjoyed in exclusive circles. Leather on leather, a LUPO Barcelona bag is identifiable by its excellent texture and use of best quality leather, carefully selected by expert hands and treated using traditional processes by the best tanners. If you have any questions about this product by LUPO Barcelona, contact us by completing and submitting the form below. If you are looking for a specif part number, please include it with your message. SanMario Designer Handbag Top Handle Padlock Women's Leather Bag with Silver Hardware Pink 35cm/14"